Some meals I just can’t part with, which is why I love to try and make them a little healthier! Tonight I’m making meatloaf, and with the delicious taste and texture, you’d never guess that there are equal parts meat and veggies in it! Not only does this meatloaf turn out moist and perfectly cooked, but it will have even the pickiest eaters going back for seconds. I can’t tell you how many times I’ve made this for family and friends and been asked for the recipe at the end of the evening. Put all the ingredients in a bowl and mix well. Form it into a loaf shape. Place it in an oiled pan. Bake at 350 degrees F for 45 minutes to an hour. Let it sit for at least 20 minutes before serving so that it won’t fall apart. 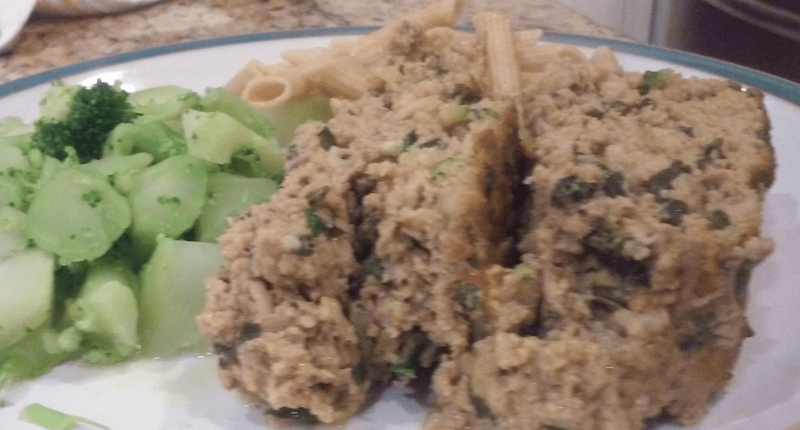 This meatloaf has less fat and calories, and more nutrients than traditional meatloaf. Like I said before, it’s super easy to make, and whoever you are serving it to is guaranteed to love it! If you make a large loaf, it can be frozen and reheated whenever you’d like. Let us know how your turkey meatloaf turns out, and check out Fill Your Plate for even more tasty dinner recipes! This entry was posted in Cooking, Food, Health Tips, Healthy Eating, In the Kitchen, Recipes and tagged cooking, Dinner, Easy, Healthy, Lunch, Meal, Meatloaf, Turkey. Bookmark the permalink.